Charismatic, captivating and magnetic Thato “DJ Fresh” Sikwane, is one of SA’s most recognised energetic and dynamic voices of Radio. 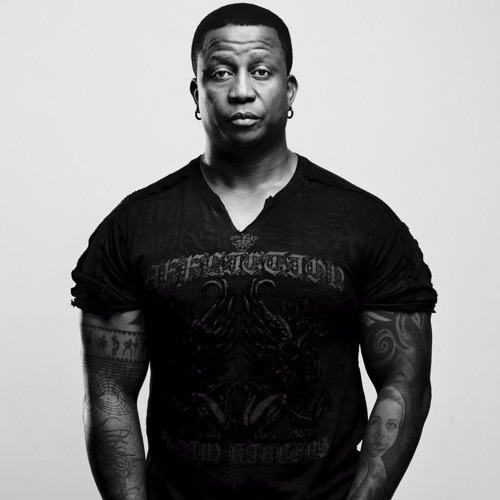 DJ Fresh boasts a diversity of talents that have seen him making major waves in the South African entertainment industry for over 30years. He is a sought-after television personality, popular social media sensation, and prolific radio and international club DJ. Born in Botswana, Fresh discovered his love for music at the age of 13 where he deejayed at Boarding School. He then went on to do his first radio show in 1992 on Botswana’s RB2. His passion for the entertainment industry then led to him leaving his law studies to pursue Media studies and Journalism full time in 1994. In 1997, Fresh joined regional station YFM – where he coined the term Yona Ke Yona - at its inception as the host to the afternoon drive, later switching to the breakfast drive in 2003. In a big and bold move, Fresh joined national radio station 5FM in 2006. This move solidified Fresh as one of the Biggest radio personalities in SA to date with a massive crossover and cross border audience. And now, in a shock move, Metro FM welcomed DJ Fresh onto the urban radio station as host of the breakfast show. Throughout his entertainment career, his love of house music has pushed boundaries and led to the release of numerous classic albums including the popular “Fresh House Flava” series – which have been highly instrumental in the consumption of House music throughout South Africa. He has also been a lead influence on launching some of SA’s household DJ such as Euphonik; Cleo; Kent; Sbu; Monde; Ryan The DJ; Dino Bravo etc. His electrifying ability to mix house music has landed Fresh on International stages throughout Johannesburg, Miami, London, Cape Town, Moscow, Brisbane, Ibiza, Leeds, Durban, Gaborone, Birmingham, Dubai, Montreal and Melbourne where he shared the DJ booth with “Little Louie” Vega, Armand Van Helden, Oskido, Jazzy Jeff, Ready D, Vinny Da Vinci, Christos, Gregory, Black Coffee, Kshmr, David Guetta, DJ Snake, Dash Berlin, Headhunterz and Martin Garrix. Unafraid to always reinvent the game it is no wonder that Fresh has been able to branch out into various projects aligned with the entertainment industry and build a successful business structure under his name. As a multi-faceted personality, Fresh has efficaciously run his own company Big Dawg Productions; partnered with Euphonik to create the mega brand property F.Eu; and formed part of a collective of DJ’s, producers, media personality and musicians called DJU. Inspired by international conferences such as The Miami Winter Music Conference, DJU established the Southern African Music Conference in 2005 which held crucial talks for deejays and producers and DJs - it is a critical platform for Southern African dance music industry practitioners to keep pace with, and eventually lead global developments. Apart from his contagious laugh being heard on radio and being seen on international stages, Fresh also lends his entertainment expertise to reality talent Show – SA’s Got Talent as a trusted Judge. His loyal fans have continued to grow into the millions on radio and TV; and have followed his every career move. More so, fans have revelled in excitement as The Big Dawg announced his major move to Metro FM as host of the Fresh Breakfast this year. It is not surprising that DJ Fresh is showing no signs of slowing down anytime soon as his career continues to grow at an exponential rate. Be sure to tune into Metro FM for the Fresh Breakfast every Monday – Friday from 5am-8am as Fresh and his dynamic team continue to entertain, break down boundaries and bring South Africans together.